Bright Smiles Are Our Top Priority! Finding a dentist can be a frustrating process, especially if you’re struggling with a serious oral health problem that has left your smile damaged. We understand your need for a competent and experienced dental practice you can entrust your teeth with. 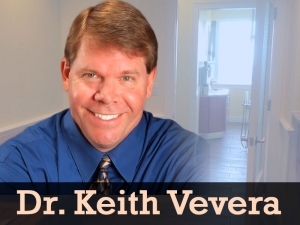 Cocoa Beach dentist Dr. Keith Vevera has built a reputation for providing exceptional General and Cosmetic Dentistry services for children, teens, and adults. We are committed to excellence, and we want your experience to be a positive one! You’ll love our newly remodeled, state-of-the-art facility, which combines the best technology available with all the comforts of home. Getting a healthy smile has never been so easy! Our practice has a warm atmosphere offering heated massage chairs, DVD players, and TV’s. We have nitrous oxide available to help you feel more relaxed. We provide individualized comprehensive care for each patient, and take the time to discuss your oral health goals and treatment. We offer complimentary consultations and invite you to come in and discover your most beautiful smile! Keith Vevera, DMD has a genuine concern for the well-being of his patients. Our staff looks forward to meeting you and establishing a lifelong relationship to improve the oral health of the entire family while keeping your teeth beautiful. While our practice’s focus is on family dentistry, we excel at various cosmetic dentistry procedures, using only the latest innovative technology to make your dreams of an amazing smile a reality. Our professionals attend continuing education courses in order to improve the standard of treatment we can provide to you. Our daily goal is to not only meet, but exceed your expectations for any services you may require. If you’re in need of general dentist services to help with your regular oral health maintenance, gentle children’s dental care, or reliable restorative dentistry services, our Cocoa Beach dentist office is here for you! We feel every patient deserves to receive the best treatment, so we take our time with you and never treat you like a number. Our focus is always on how well we can treat you during your time in our office and on the quality of care that we can provide. Regular visits to our office every six months for checkups and cleanings can help prevent a range of common oral health problems, and we do all we can to inspire you to come and see us, your dentist in Cocoa Beach, as needed for optimal oral health. Our friendly staff will extensively examine your overall oral health each time you visit our office. While we have a passion for using cosmetic dentistry techniques to improve the appearance of a patient’s smile, we focus first on the goal of improving the health of your mouth. We also concentrate on refining a bite’s functionality. Many times we suggest the Invisalign clear braces system to straighten teeth and fix underbites and overbites. If we see that there is a excessive wear on your pearly whites, our we may recommend TMJ therapy to help protect your teeth’s enamel. We work hard to defend your teeth against decay and damage. Offering a range of dentistry services to our patients means that you can count on us to address any oral healthcare concern. We can provide restorations such as dental implants, bridges, and porcelain crowns. We can also swiftly correct issues such as gaps, cavities, chips, and broken teeth. If you are suffering from gum disease we can also treat it with non-surgical periodontal therapy. Please contact us today at (321) 236-6606 to schedule an appointment. We see patients from Cocoa, Merritt Island, Rockledge, Cape Canaveral, and the surrounding Florida communities at our Cocoa Beach, FL practice. We accept most insurances and we’re conveniently located on the 10th floor of the Cape Royal Building… a beautiful view from our office where treatment is provided. Thank you for choosing Vevera Family Dental as your Cocoa Beach dentist – we can’t wait to begin treating you and your loved ones with excellent dentistry today!